Laurie Mease is a Business & Industry Specialist with the International Trade Administration’s Office of Textiles and Apparel (OTEXA). Richard Stetson is an International Trade Specialist with OTEXA. Yarn and fabric trade between the United States and Colombia has grown by more than 30 percent since 2002. And with the recent implementation of the U.S.-Colombia Trade Promotion Agreement, this figure is destined to grow in the coming years. In 2008, we had the opportunity to visit Medellín, Colombia to participate in the Colombiatex trade show. We visited eight manufacturing facilities and were impressed with the diversity, sophistication, and maturity of the Colombian textile and apparel industry. We observed significant capital investment in machinery and technology. Many of the manufacturers have operations which encompass all of the necessary manufacturing processes under one roof: they spin yarn, knit and weave fabric, and assemble apparel. Unlike most of the textiles and apparel produced in Central America and the Caribbean, the majority of Colombia’s products are intended for sale in Colombia’s domestic market or for export to Venezuela, Mexico, and other markets in Latin America. U.S.-Colombia Trade Promotion Agreement Now in Force! Many of Colombia’s textile and apparel inputs, including fibers, yarns, and fabrics, are purchased from U.S. suppliers. Until the entry into force of the U.S.-Colombia Trade Promotion Agreement (TPA), these inputs have been subject to duties of up to 20 percent, with the exception of inputs used in apparel qualifying for trade preferences under the Andean Trade Promotion and Drug Eradication Act (ATPDEA). With the TPA in place, tariffs will be eliminated, reducing costs, and providing greater incentive for Colombian firms to buy U.S. fibers, yarns, and fabrics and for U.S. firms to invest in Colombia. 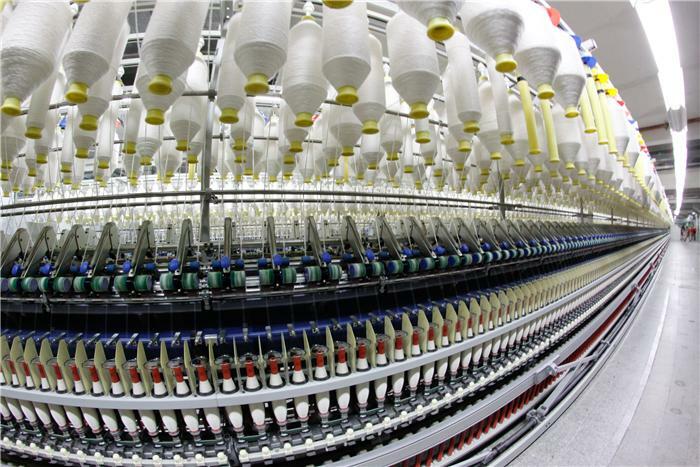 It’s a win-win for both the U.S. and Colombian textile and apparel industries. In addition to duty-free benefits, the TPA contains several important flexibilities and protections to make sure that the U.S. industry is not harmed by the flow of imports from Colombia. For example, the TPA contains a textile-specific safeguard mechanism that allows most favored nation (MFN) tariffs to be temporarily re-imposed if a surge in duty-free imports from Colombia is shown to be causing or threatening to cause serious damage to domestic industry. The TPA also includes specific customs cooperation language for enforcing measures affecting trade in textile and apparel goods to help prevent the circumvention of the agreement’s rules on the origin of inputs and finishing processes. As the TPA enters into force, we’re already starting to see signs of growth in U.S. textile and apparel sales to Colombia. U.S. exports of textiles and apparel to Colombia in 2011 were up 33 percent over 2010, with exports totaling $165 million in 2011. Exports should further increase over the next few years due to the immediate duty-free market access for all qualifying textile and apparel goods entering Colombia under the TPA. U.S. textile producers will have more opportunities than ever before to sell their goods in the Colombian market. On the flip side, apparel imports from Colombia have been declining since 2005. There are several possible explanations for this decline, including the end of global quotas for textile and apparel goods in 2005, the global economic downturn of 2008/2009, and, most recently, the uncertainties surrounding sourcing from Colombia. Between the ATPDEA being enacted and terminated five times, and the stalled and unknown implementation date of the TPA, U.S. importers have been hesitant to source from Colombia. With the implementation of the TPA on May15, no expiration date for duty-free benefits, and certain beneficial textile provisions, we expect sourcing of apparel from Colombia to gradually increase. There is a wealth of information available on our website for companies interested in taking advantage of the new sales opportunities offered by the U.S.-Colombia TPA. Please visit our website or contact us via email OTEXA_Colombia@trade.gov with any questions.